Pro-Business. Connected. Ready to Invest. 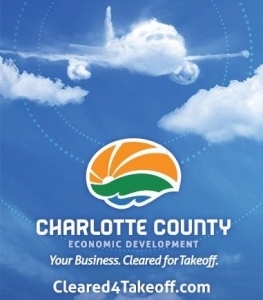 This is what the Charlotte County Economic Development Office is all about: encouraging the recruitment of diversified industry to the county, to create high skill, high wage jobs, and to help diversify the economy and tax base. Punta Gorda Airport’s mission is to serve the community and business through aviation. Learn about all that PGD has and does, from offering general and commercial aviation and public services to providing opportunities for growth and development through land and leasing options in the Airport Interstate Park.